Don’t judge a book by its cover – right? Unfortunately, this old turn of phrase doesn’t quite cut it when it comes to your business website. If your website does not look and perform at its best, your sales will suffer. Shopify has over 100 different free and premium themes, and that doesn’t include the hundreds of others created by third parties. So, what is a theme? Basically, a Shopify theme is a template that determines what your site will look like and how it will function. Your choice of theme will depend on your industry and the branding of your business – there is everything from fun and funky to sleek and modern. There are three kinds of themes available – free, premium and third party. 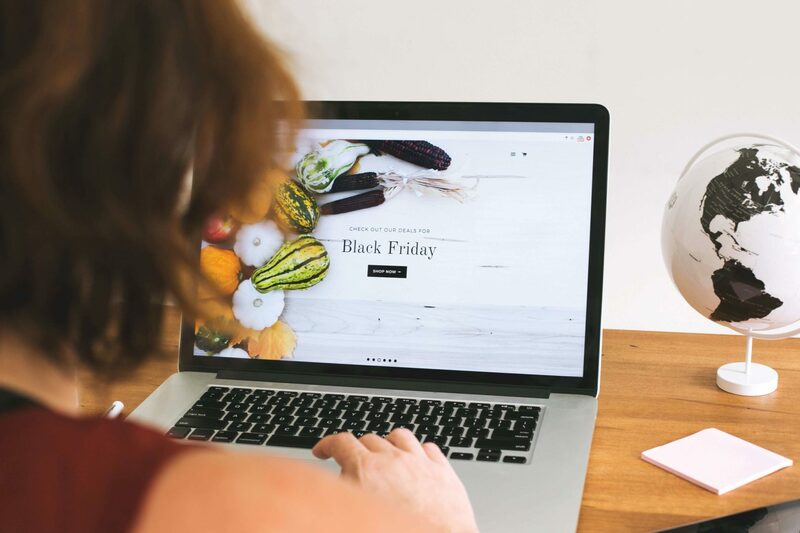 While a free theme can be a good place to start if you have budget constraints or are looking to get online quickly, inevitably, their functionality is limited. At some point in your business journey, you will need to upgrade to a theme with more features. That is why we would recommend investing in a premium or custom theme so that your website does not have a limited lifespan. Let’s look at why you should carefully consider the Shopify theme you choose for your business. You want people to be impressed the second they visit your site. Internet users make a judgement about the quality of a website within seconds of landing on the page! It’s important to have a great looking site to immediately engage users, and stop them from immediately clicking away. An important part of that first impression is load time. As you can imagine, slow loading sites cause frustration with your visitors and affect the experience they will have. Choosing a theme that is too bulky and slow will impact how successful your site is. As many as 40% of consumers will abandon a website if it has not loaded within 3 seconds. It goes without saying that your theme has to be user-friendly. If you attract someone to view your website, that’s a great first step. But having them quit halfway through the process because they can’t find their way around easily is not so great. Think about the functions that your business needs – the scale of your store, a mailing list pop-up, related products, product image zoom, size chart, or collection full-width banner images? Some themes do not cater to all of these functions, so check out what you need before you commit too heavily. Then, consider the layout that is most suitable for your business. For example, how many products will you be listing – 10 or 100? If you have a large amount, you should be able to organise them into categories to make navigation easier. Also think about the use of colour, scale and contrast to draw users to the important areas. Well-designed and thoughtfully placed Call To Action buttons in key conversion areas is also a must. Have you viewed the Shopify theme store yet? Check it out for hundreds of themes, demos, and useful content. The right design is an important decision – it’s not just about what looks cool or what other businesses are using. Go with what makes the most sense for your online store. Think about how your brand colours will work and even if the shape of your logo will fit in. The wrong choice will result in your site being off brand. That could be detrimental as it means you won’t be connecting with your target market and can result in less business. The right theme design means a deeper connection to your consumers and more sales! Every available Shopify theme will have troubleshooting support. You might need this during customisation and development, or if an issue pops up further down the line. Look into this before selecting a theme, so you know that you have the right support available if required. It’s also a good idea to read the reviews to see if there are any common issues, either with the theme itself or with the quality of the support. At the end of the day, your website is driving your sales. You want a slick, functional, attractive site to really engage your customers and generate as much revenue as possible. If you have doubts about whether a theme can produce that for your business, then it is probably better to choose a different theme!